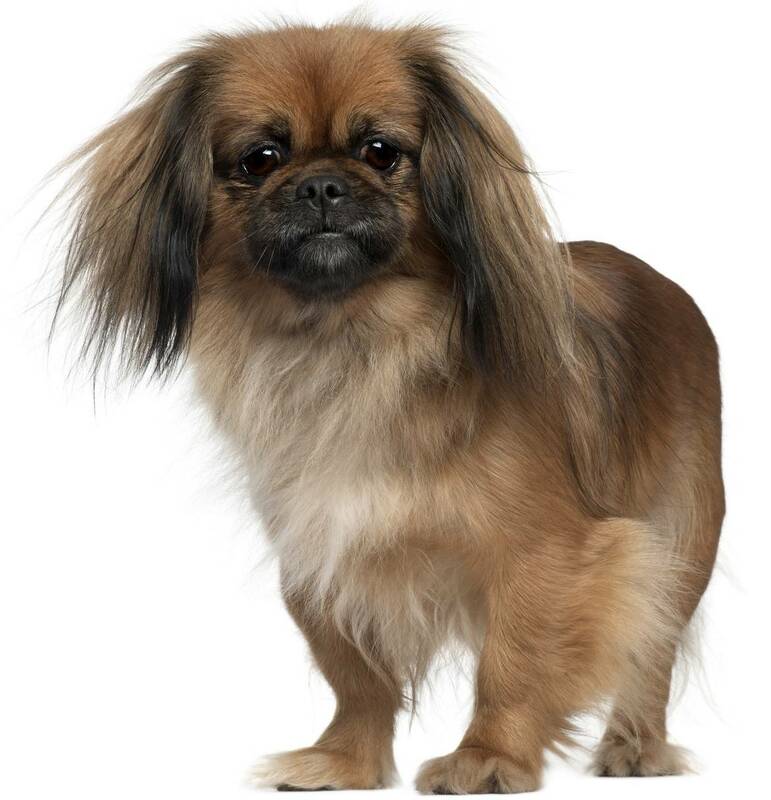 Pint-sized and furry, the Pekingese is a popular purebred with both minor and considerable health issues. These pups’ biggest problem areas are their ears, mainly because of their abundance of fur around their faces. The hair gets trapped inside their ears and becomes adhered to the canals with wax and other bacteria-riddled debris. This can cause recurring ear infections that have to be treated with vet-prescribed antibiotics. This condition, most common at birth, occurs when internal organs bulge slightly from a small opening in the abdominal cavity. This opening is most often an unsealed naval. It can be entirely internal or slightly external, but obvious, sometimes severe, abdominal swelling is the biggest indicator. 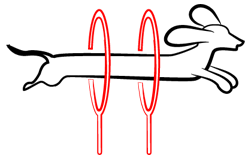 Surgery is required to repair the abdominal wall. While this disease does affect all dogs, the Pekingese has a bigger risk due to their size and generations of congenital defects. This occurs when there is a blockage of blood flow to the heart, causing eventual heart failure. There is no cure for this condition, but a nutritious diet, regular exercise, and oxygen treatments could make the disease more manageable. Other health conditions to keep a close watch for are bloat, skin allergies, hypothyroidism, and joint disorders. Despite their health issues, the Pekingese breed is a feisty one, and in overall good health for a big chunk of their life. On average, a healthy and happy Pekingese has a lifespan of 12 to 15 years – quite a bit longer than most purebred canines. 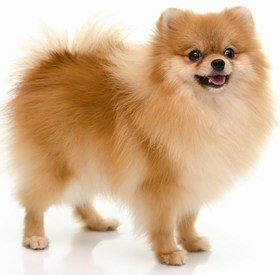 Confident and adorable, the Pekingese resembles a cross between a miniature lion and some kind of long-haired monkey. He is fearless and independent with a fierce stubborn streak that can sometimes get him into trouble. He devotes his protection to his loved ones, but it may take a while for him to form a bond with someone new. While a Pekingese would be okay around older children, he is sensitive, so younger kids need to keep their distance or treat him with the utmost respect. The Pekingese thinks he is king of his castle, so you have to work hard to establish dominance if you want to train him properly. Use a clear, no-nonsense tone in a kind but strong voice to let him know that you are the alpha in your pack. Eventually, your Pekingese will catch on to your superior status, making it easier to gain his compliance with your commands. Pekingese pups will definitely try to challenge your authority, but be consistent, patient, and determined. Training a Pekingese is crucial to raising a well-rounded family pup. Pekingese pups are known for their territorial responses to their food and toys. If you have children, teach them how to handle your Pekingese with love and gentleness correctly. These pups have a low tolerance for roughhousing and nonsense. He may get snippy and yappy if he feels that someone is too rough, too loud, or too close to him. Dog parks are an okay place to take your Pekingese if you have socialized them with other dogs before. These pups may buck up to other dogs, especially larger dogs, causing a scuffle for dominance that your Pekingese would likely lose. These little dogs think they are much bigger and tougher than they actually are. 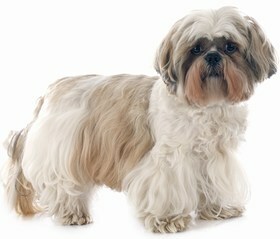 However, exercise-wise, the Pekingese would be just as happy romping and running alone in a fenced-in backyard. Or, playing with his toys indoors. Beneath all the fur, a Pekingese boasts a few wrinkles are vary in depth from dog to dog. Make sure you wipe his face regularly to clean out his wrinkles of any debris and prevent bacterial infections, particularly around his nose. Pekingese pups are low shedders, but they still need brushing 3-4 times a week to keep their long coat healthy, silky, and manageable. Bathe your Pekingese once a month, or whenever he gets smelly, but use a gentle dog shampoo to avoid stripping his fur of essential natural oils. Pekingese pups have voracious appetites, which makes them prone to over-eating. This could lead to obesity and related complications. To help your Pekingese maintain a healthy weight and active lifestyle, make a meal schedule that involves two meals each day. Feed him a ½ cup of dry, high-quality kibble for each meal. Treats should be rare but nutritious and bite-sized. Use these indulgences as rewards for good behavior during training. Pekingese are abundant in the dog world. Their unusual, adorable looks make them a popular choice for pet owners from all walks of life. Therefore, many have been abandoned over the years. You should start with your local animal shelters or a rescue group, if you have your mind set on a Pekingese companion. Adoption fees can be anywhere from $75 to $250, depending on the county and state regulations. But you should also factor in the costs of vaccinations, as well as spaying or neutering your pup. Add-on fees could drive the adoption cost up to at least $500. Less reputable breeders will use Pekingese puppies as the high selling points in their puppy mills. 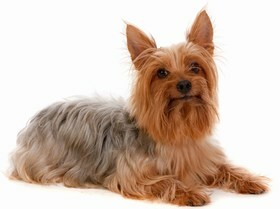 If you suspect a breeder of running a puppy mill, please contact the local authorities to save those pups immediately. You should always look for someone trustworthy and caring to buy your Pekingese pup from. When you find a reputable, reliable breeder, a Pekingese puppy ranges from $400 to $750. 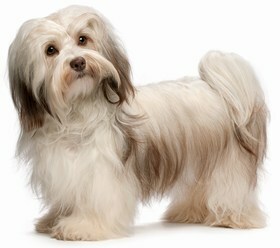 The price will be higher if that pup is AKC registered and meets AKC quality requirements. Ranking takes into account a few basic factors including cost, skill level needed, high vs low maintenance and how critical regular training is to success.The Pekingese is a 2 on the ranking scale. These pups are hard-headed and stubborn with an independent streak that could be a challenge. However, if you have the time, energy, and patience to invest in training him properly, then you are already well on your way to having a sweet, protective, well-behaved lapdog.